Edulia responds to the urgent need of the EU society to find new ways to tackle the escalating issue of obesity, through promoting healthier eating from childhood, within the context of choice. Based on the relations between sensory perception, pleasure, food choice and food behaviour, the project will look for new approaches to drive children to like and actively choose healthy foods, developing healthier dietary habits. 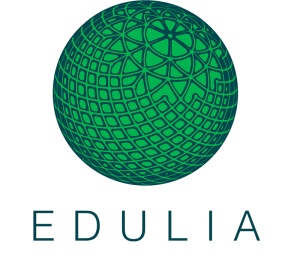 Edulia is a multi-disciplinary and inter-sectorial European Training and Research Network with a global reach. Our network will train 11 young innovative and adaptable researchers in high-level skills across complementary fields through studying children’s food choices, in order to build strong career development paths. The training program includes multidisciplinary scientific training within both natural and social sciences, secondments in academic and non-academic organisations, and courses in transferable skills, promoting science communication and outreach. The overall aim of the research programme is to better understand how multiple factors act as barriers for children’s healthy eating and how to tackle them, bringing together leading scientists in the Food Choice arena in a collaborative network that will transcend the limits of this project and strengthen European research. Edulia will develop social marketing and nudging strategies, study peer and family social interactions and social media marketing, identify sensory and non-sensory parameters that influence what is eaten (food choice) and how much is eaten (intake), and develop products which can drive healthy eating through sensory pleasure. We will explore children’s food choices in real settings, observing eating behaviour and social interaction, in parallel to food preferences and food intake. We will ultimately propose innovative approaches to support children’s healthier eating, providing a strong knowledge base and clear guidance to the general public, the food industry and EU policy makers.